Do you get bored with the existing soundtracks or they are not very realistic ones? Then Spintires: MudRunner Sounds Mods is something you should be interested in. Every Spintires MudRunner Mods Sounds has unique specifications and can be a great upgrade for your game. 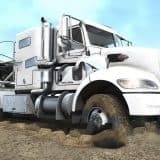 One of the best things are that Spintires: MudRunner Sounds Mods free files database is huge and you are able to choose between a great variety. When you find something useful, don’t hesitate a lot, simply complete Spintires: MudRunner Sounds Mods download and add it to your game. You will have plenty of chances to test it and decide, if it’s right for you. Every day something new pops up in our Spintires Sounds Mods database, so there is always place for improvements. 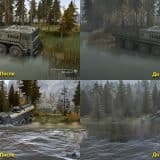 Moreover, as there are no costs, Spintires Sounds Mods free samples are accessible without any boundaries. So, take this step forward and hit on Spintires Sounds Mods button right now!